To paraphrase Calvin Coolidge, the chief business of cinema is business. As a general rule, festivals like films that can sell; Oscars and acquisitions provide high-level film programmers with industry niches that we critics will never really understand. But now and then, those thoughtful public servants manage to smuggle in something decidely uncommercial. It’s a reasonably admirable thing for TIFF to include an experimental documentary in a showcase like City to City, since there is no shortage of slick Korean studio product waiting in the wings. Sadly (and here comes the subtweet), you shouldn’t send a narrative film specialist to do an avant-garde programmer’s job. 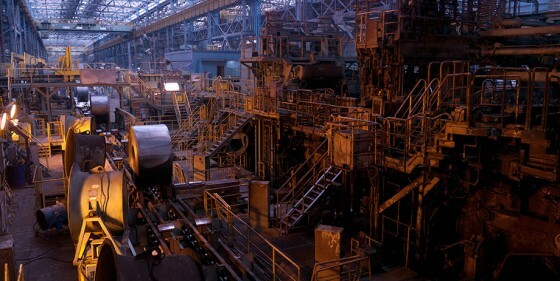 Kelvin Kyung Kun Park’s A Dream of Iron has some things going for it, to be sure: in a socio-economic era obsessed with high-tech, Park wants to examine the advent of heavy industry (steel mills, in particular) and how it transformed South Korea in the ’60s and ’70s. With its spare, poetic narration, floating array of interviews, historical footage, and lengthy shots of the iron-forging process, A Dream of Iron conjures memories of Chris Marker and Harun Farocki. But as we know, those men created their magic through rigourous editing; by contrast, Park’s film is sloppy and obtuse, often feeling like a set of half-organized rushes. Only two clear ideas come across in A Dream of Iron: 1) Hyundai sure is big and powerful. 2) Park likes whales.